Whether your area rug is made of natural fibers or synthetic materials, the ultimate goal is to keep the rug looking and feeling good for as long as possible. Synthetic area rugs made of tough, durable fibers that can withstand vigorous cleaning services. However, due to the way these rugs are manufactured and their cheap cost, they do not last as long as most natural fiber rugs can last. The cheaper cost will typically lead most consumers to simply replace a synthetic rug, as opposed to keep up with a full maintenance schedule. 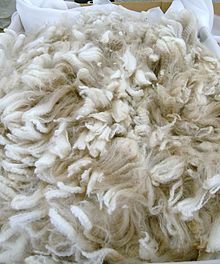 Rugs made of natural fibers typically cost much more and can last for generations. Natural fiber area rugs will often have sentimental ties within a family. Those ties, along with the ongoing worth of the rug will lead most natural fiber area rug owners to maintain their rugs properly in an attempt to keep them fresh and clean for as long as possible. Regardless of the fibers used in crafting your area rug, or how the rug was constructed, if you are maintaining your rug properly, you might want to protect it as well! That is where the application of a stain and fiber protectant comes into play! 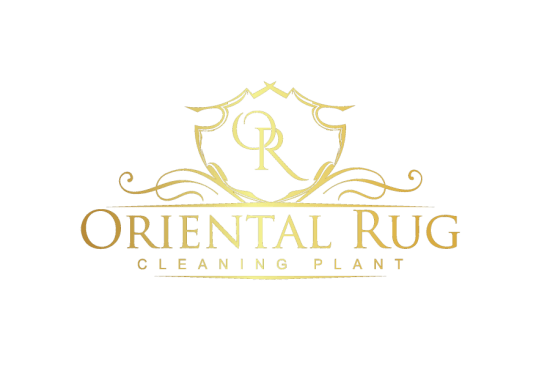 Having a professional rug washing company apply a stain and fiber protectant to you freshly clean rug helps to buy you an extra window of time to treat a spill. Also, it will help to keep more soil on the surface of the rug so that it can be vacuumed up more easily. There are some over the counter products that can be purchased and applied by the consumer, but the best results are achieved by having a professional technician apply the protectant after a cleaning service is completed. When a professional applies the fiber protectant to a freshly cleaned rug, they will follow the necessary steps to ensure optimal performance. The protectant should always be properly and thoroughly groomed in during the application. This will help the protectant to contact and coat each one of the individual fibers for maximum coverage. The protectant should also be given the chance to dry completely and evenly in a temperature controlled environment. There are two separate types of fiber protectant that are typically used: water based and solvent based. 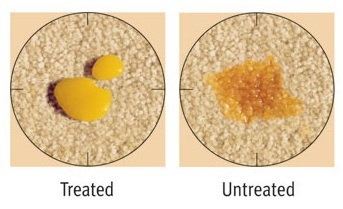 Generally, protectants that are solvent based will perform better than the water based types. 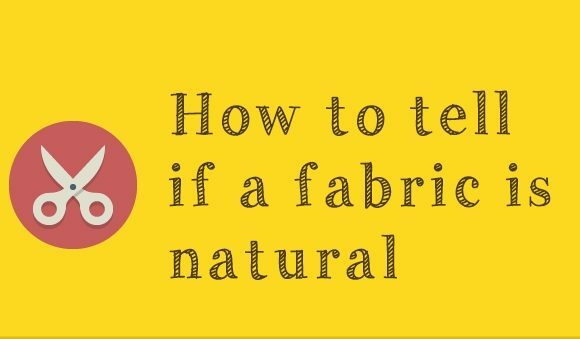 This is especially true when applied to natural fibers like wool, cotton and silk. 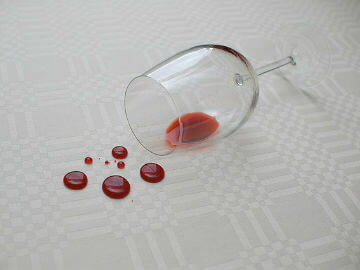 Both types of protectants do essentially help to protect the rug fibers from absorbing spills too quickly. Always keep in mind that rug protectants, even when professionals apply them properly, are not the “end all” to make your rug completely resistant to damage. 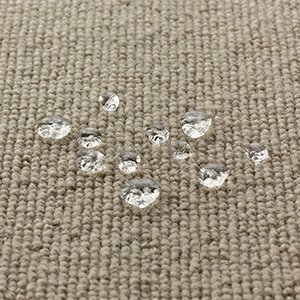 The protectant works by helping to keep a spill on the surface of the rug where it can bead up, as opposed to sinking down within the pile. The protectant is typically effective at keeping the spill beaded up at the surface for up to 15 minutes. It is still incredibly important to treat the spill as quickly as possible to keep it from seeping through the protectant. 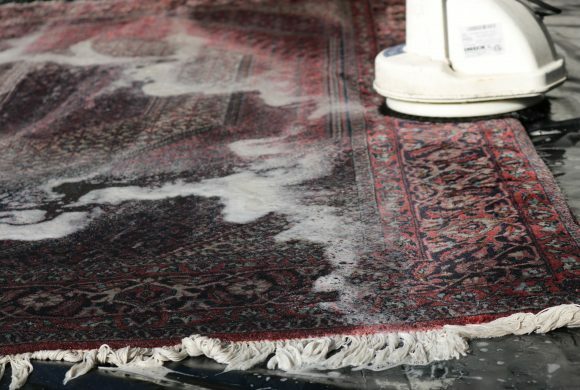 If a spill sits and works its way down through the protectant, you will want to have your rug cleaned by a professional as soon as you can. That is your best chance to help avoid a permanent stain. 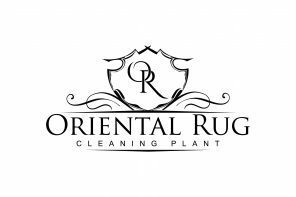 Regular maintenance, including in home vacuuming as well as professional cleanings is an integral part of keeping your area rug’s surface pile clean. For maximum results, remember to have the fiber protectant applied after each professional rug cleaning. Always feel free to reach out with any questions you may have! Our company is full of friendly and helpful team members who are always ready to help! Call us at 407-930-4854 any time! Surface Pile WearSilk Or Not Silk?